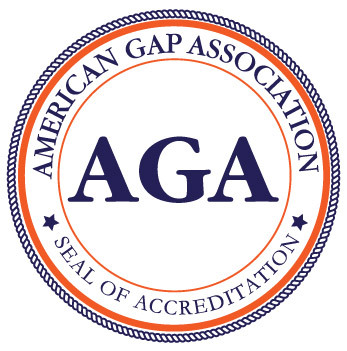 RIDGE Mountain Academy has been accepted as an accredited Gap Year program under the American Gap Association. Accreditation with the AGA represents a commitment to the highest standards in safety, quality, and integrity in the industry. "We are proud to welcome RIDGE to the American Gap Association family," said Ethan Knight, executive director of AGA. "Billy O'Donnell and his team have demonstrated they represent one of the finest Gap Year programs available, bringing together an assortment of experts in the realms of outdoor education, professional sports, health and nutrition, self-awareness, and risk management. Despite being a newer program, I have only been impressed with their level of forethought and intention-hallmarks of a Gap Year organization dedicated to long-term student outcomes." The AGA is a 501(c)3 nonprofit accreditation and standards-setting organization for Gap Years that is recognized by the US Department of Justice and the Federal Trade Commission. The AGA continues to advance the field of Gap Years by collaboratively pioneering research on its benefits, as well as serving as an information and advocacy hub for university admissions personnel and educational counselors. After a rigorous application process, accredited AGA members agree to consistently abide by standards so that students can count on an experience with the highest caliber of field leadership, the best degree of office support, and the highest standards of safety. Other national accredited programs include NOLS and Outward Bound. "Being accredited by the AGA validates the level of detail, our exemplary policies and procedures, and how we operate RIDGE on a programmatic and administrative level," said RIDGE founder and executive director Billy O'Donnell. "I am pleased with the work of my team to fulfill the accreditation process and demonstrate that our standards are at the highest possible level in the industry." O'Donnell has a diverse background as both a professional athlete and businessman. He is a professional skier, a former international freeride competitor, and was team manager for Obermeyer. He previously served as director of admissions at AIM House in Boulder, Colorado and holds a double master's degree in business administration and global studies from the University of Denver. RIDGE is designed for male and female student athletes who have a passion for the mountains. Located in Whitefish, Montana, RIDGE offers a campus-based academy that focuses on mountain sports, education, and life skills. Student athletes of all abilities strengthen their training, forge new skills, and discover true potential during a high school semester, gap year or semester, or college off-campus study semester. The RIDGE philosophy is based on the premise that the mental and physical challenges of this unique program will transfer into self-exploration and new focus. Taking time out can promote discovery of one's own passions that were not previously realized. Recent studies gathered by the AGA show that students who take a gap year have better GPAs than their non-gap year peers and have greater satisfaction at future jobs.